In his short career American guitarist Tommy Bolin was an accomplished, prolific, and respect musician. While dating ourselves, most will remember his fine first solo album Teaser (1975). But he had his own jazz-rock fusion band, Energy, and did work with notable jazz drummer Billy Cobham. Other will remember his brief stints with hard rockers James Gang, Deep Purple, and the relatively obscure, but interesting, Cleveland outfit, Moxy. With Whirlwind, Greg Hampton and Johnnie Bolin in cooperation with Cleopatra Records brings a compilation of rare and unreleased Bolin recordings on a two CD set. The songs paint a picture of the breadth of his diverse guitar style. Not the least of which, against his hard rock work, is the jazz rock fusion play of Heartlight, Hoka-Hay, and San Francisco. But this interest and style would follow him. Dungeon and Gotta Dance, intended for a third solo album, have this similar feeling. But the playfulness and edge of rock never escaped Bolin either as found on Rock-A-Bye, which seems to steal some riffs from Burning Love, and the heavier Sooner or Later. The rock instrumentals Red Skies and Sleepwalker recorded in 1973 for demos, prior to joining James Gang, may have been helpful in getting the job thanks to their groove and swing. Later in 1975, after leaving the band, Bolin recorded Marching Bag, a 26 minute original version of Marching Powder which would appear on Teaser, heavily shortened. It has both the timbre of a James Gang recording and Bolin's jazz rock roots. Sometimes his guitar can sound like Robin Trower. It's likely the most interesting piece because of the creativity and expansiveness of the arrangement. 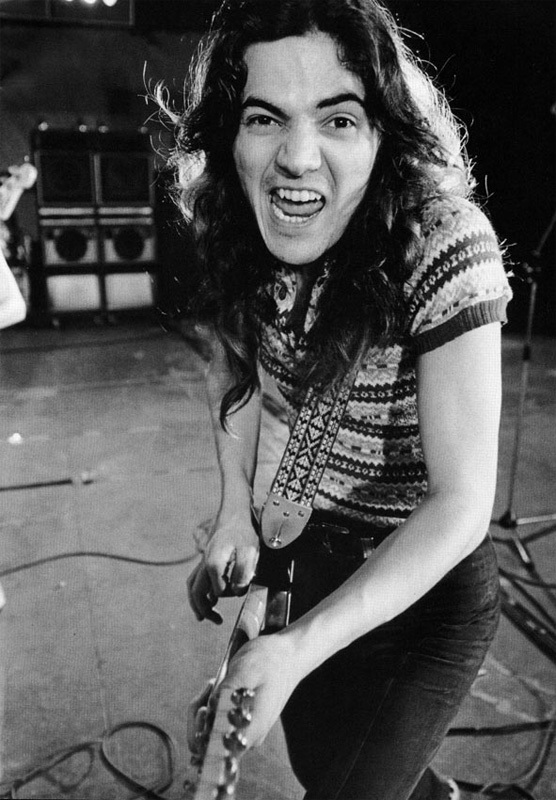 After opening for Jeff Beck in December 1976, Bolin died by his own hand from an overdose of heroin and other substances, including alcohol, cocaine, and barbiturates. It's a tragedy really: the rock world lost a talented guitarist destined for great things. Whirlwind is fine compilation of his rare and unreleased recordings, something for fans, historians, and aspiring guitarists. Recommended. 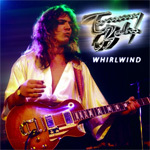 Tommy Bolin's Whirlwind is fine compilation of his rare and unreleased recordings, something for fans, historians, and aspiring guitarists.